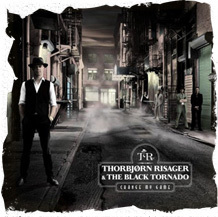 Thorbjørn Risager & The Black Tornado: Talent, dedication and perseverance As this band enters its fourteenth year, they really seem to be on the verge to a success that will open some new doors, in new territories. And with all the hard work they put into this project, they surely deserve it. In 2003, singer and guitarist Thorbjørn Risager asked some of his favourite musicians to join him in a brand new band. 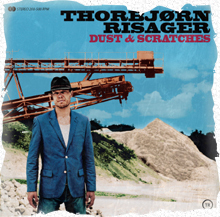 The picked the band name ”Thorbjørn Risager Blue 7” and started playing round Denmark. A year later they recorded their first album, ”Live 2004”, and in 2005 they met their current agent who also started working with their CD promotion, in connection with the release of their second album, ”From The Heart”, which already got considerable media recognition. 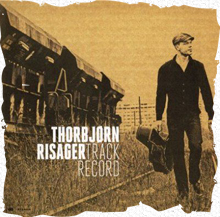 BluesWax, a well-respected US publication, used the headline ”Next big name in blues: Thorbjorn” and the epic quote ”Risager has songwriting skills that match his larger-than-life voice” is from that review. The same magazine wrote about the next album ”Here I Am”: Sometimes a singer’s voice just stands out and forces you to listen. Take one part Ray Charles, one part Bob Seger, and one part Joe Cocker and you may have the vocal instrument of Denmark’s Thorbjørn Risager. By then they had been signed by the Danish label Cope Records, run by the band’s trumpet player. A few albums later, they made a deal with French blues/roots label Dixiefrog, and in 2014 they secured a record deal with Ruf Records, based in Germany but with a very strong position in the international blues world. The same year, before the release of the multi-award-winning album ”Too Many Roads”, they decided to add the band name ”The Black Tornado” – to signify that this is a REAL band and not some random musicians that back up a vocalist. They were also hoping that this new name would be a bit easier to google, for all the listeners that heard the band’s music being played on international radio stations. Parallel to writing, recording and releasing new material with 12 – 18 months’ interval, they have kept touring all over Europe, plus a tour to Canada and a spot at Asia’s biggest blues festival Mahindra Blues in Mumbai, where they shared the stage with Buddy Guy. They play 100 gigs per year, and they have performed in 21 countries. Remarkably enough, only two musicians have quit the band since the start in 2003 and they have worked with the same agency, Westman Music, since 2005. This is a hard-working band, and they really stick together through thick and thin. They are united through their talent, their dedication and their perseverance! Down the Biography as pdf here! In 2014, something unusual happened. On the strength of their breakthrough album Too Many Roads, Denmark’s Thorbjørn Risager & The Black Tornado went global. Now it’s one thing for an artist from Copenhagen to enjoy success at home and in a few adjacent countries. But the release of Too Many Roads saw the seven-piece combo fronted by singer and guitarist Risager gaining widespread notoriety in the U.S. and being invited to play in locales as far away as Mumbai, India. The album took home the Danish Music Award as the Top Blues Album of 2014 and also earned Germany’s illustrious “Preis der deutschen Schallplattenkritik,” but perhaps even more impressively, it was selected as one the year’s best by Britain’s influential The Blues magazine, right alongside international stars like Robert Cray, Walter Trout and Joe Bonamassa. Clearly, Risager and his mates had taken their exhilarating mix of blues, soul and rock ‘n’ roll to the next level. The succeeding 100-minute concert, captured on CD and DVD for the newest addition to Ruf’s Songs from the Roadseries, shows off every facet of this unique conglomeration of musicians. There’s the sinuous funk of “Paradise” and the furious boogie of “The Straight and Narrow Line” (featuring big-time playing by piano man Emil Balsgaard and saxophonist Hans Nybo). There’s the twin-guitar blues of “Too Many Roads” and the rough-and-tumble attitude of “Rock ‘n’ Roll Ride.” There’s the chilling “China Gate” and the dark drama of “Long Forgotten Track.” Finally, the band whips the crowd into frenzy with their ultra-groovy take on the classic “Baby Please Don’t Go” and the timeless party anthem “Let The Good Times Roll,” the latter track showcasing the talents of lead guitarist Peter Skjerning. The funk workout “Opener” and the charming “I Won’t Let You Down” (performed as a duet with Lisa Lystam) offer some welcome after play. More than anything, Songs from the Road shows that the success of Too Many Roads was no fluke. Thorbjørn Risager and his highly skilled accomplices have perfected a spicy blend of musical ingredients. The hundreds of shows they’ve played during the past few years have them running like a well-oiled machine. More great things can be expected of them in the future – but until then, we have this brilliant document of a band that is quietly revolutionizing the way we look at the blues. more than 700 concerts for them in 21 countries. ● Songs From The Road is their 10th album in 10 years!